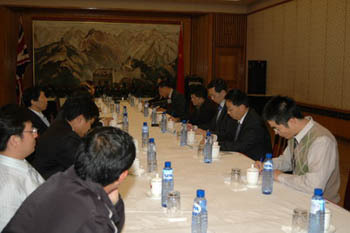 On October 9, 2007, the Chinese Embassy in UK invited representatives from eight Chinese enterprises (Bank of China, Industrial and Commercial Bank of China, China Insurance, PetroChina, CNOOC, ChemChina, China Tuhsu and China Minmetals) and China Council for the Promotion of International Trade (CCPIC) based in UK to have a symposium on how to expand the investment in UK, Minister-counselor Pan Hejun presided over the symposium. The participants think that the UK market is generally open and the investment environment is good with its sound laws and regulations, advanced financial services and abundant technological and human resources. In recent years, the amount of the Chinese enterprises investing in UK has been increasing rapidly thanks to the development of Chinese economy and Sino-UK relations. Till the end of 2006, there are nearly 200 Chinese enterprises in UK covering trade, finance, insurance, transport, telecommunication, medicine, food processing and catering industries. 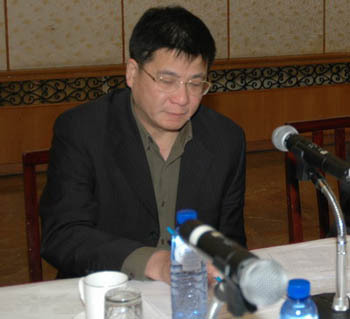 But the Chinese enterprises also faces problems and difficulties, such as the operational decisions, foreign exchange management and financing system fail to adapt to the requirements of new situations, shortage of experiences of international operation, lack of talents, unfamiliarity to the local laws, regulations and taxation systems, differences between Chinese and foreign employees in culture and mentality, and expensive labor and office cost. The participants also put forward suggestions on how to promote the healthy development of the Chinese enterprises and expand their investment in UK. Minister-counselor Pan Hejun thanked the participants for speaking without reservation and hoped that the communication between the Chinese Embassy and the Chinese enterprises could continue in the future. He said that the Chinese Embassy was willing to provide better services for the Chinese enterprises to invest in UK.